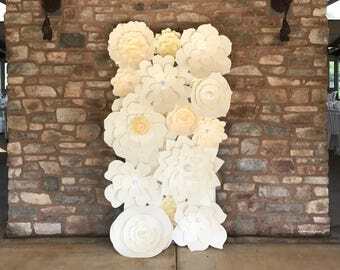 A Pink, White, and Gold Paper Flower Backdrop is perfect for a wedding or event (bridal shower, baby shower, birthday etc. ), home decor, or as a wall accent for your baby nursery. The blend of pinks offers great dimension and is perfect to match a pink themed event or room in your home. With small touches of gold that adds that bit of elegance. Flowers come completed (no assembly required). 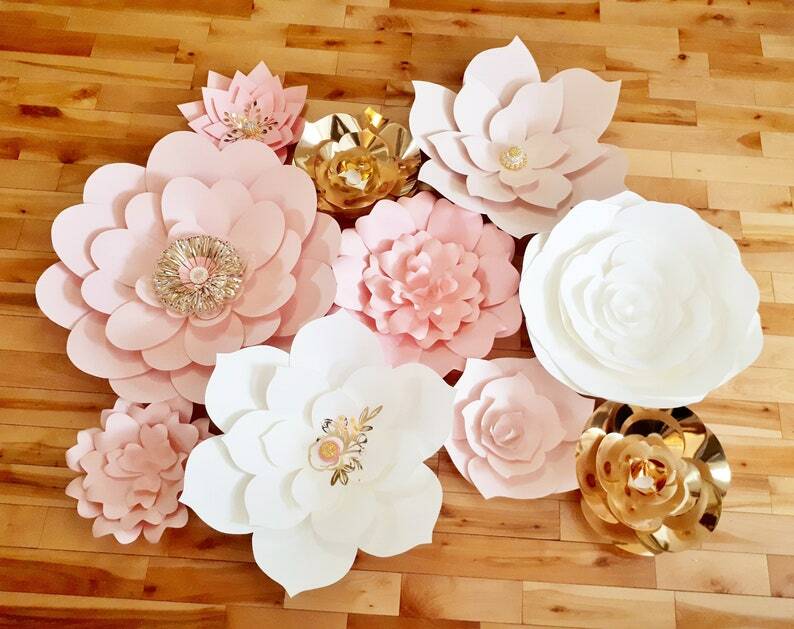 Offering 10 paper flowers in Blends of Pink with White and Gold. 15% off all items in our baby nursery section! Such a wonderful experience purchasing these handmade custom-ordered flowers! Such professionalism in business, and quality in work.